The Naragansett Pacer was the first horse breed bred in the United States, but unfortunately it is now extinct. Sales to the Caribbean and cross-breeding diminished the breed to the point of extinction, and the last known Pacer died around 1880. Historical records show that many famous personages owned Pacers, George Washington among them. The breed was used for “pacing races” in Rhode Island, where the Baptist population allowed races when the greater part of Puritan New England did not. Pacers reportedly covered the mile tracks in a little more than two minutes. 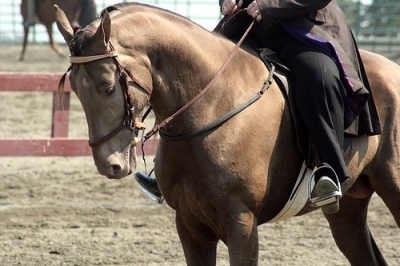 the American Saddlebred, the Standardbred and the Tennessee Walking Horse.